As usual, we’ve rounded up this week’s useful reports and articles, as well as interesting events related to Strategist themes. First for today is Chris Elder and Robert Ayson’s new policy primer  (PDF) that looks at China’s rise and New Zealand’s interests. It’s published by the Centre for Strategic Studies (New Zealand) and Victoria University of Wellington. Then there’s a new RUSI report that looks at Taliban perspectives on reconciliation in Afghanistan  (PDF). Authored by Michael Semple, Theo Farrell, Anatol Lieven and Rudra Chaudhuri, it contains interviews with four senior Taliban interlocutors and finds that they ‘deeply regret their past association with Al-Qa’ida’ (p.3). Closer to home, the Pacific Institute of Public Policy has released a paper that looks at the Asia-Pacific Century from a Pacific island perspective  (PDF). Update: a late addition to the list is Andrew Krepinevich, President of the Center for Strategic and Budgetary Assessments, whose new paper (image below) examines whether the expansion of the military competition into the cyber domain represents a major shift in the character of warfare. 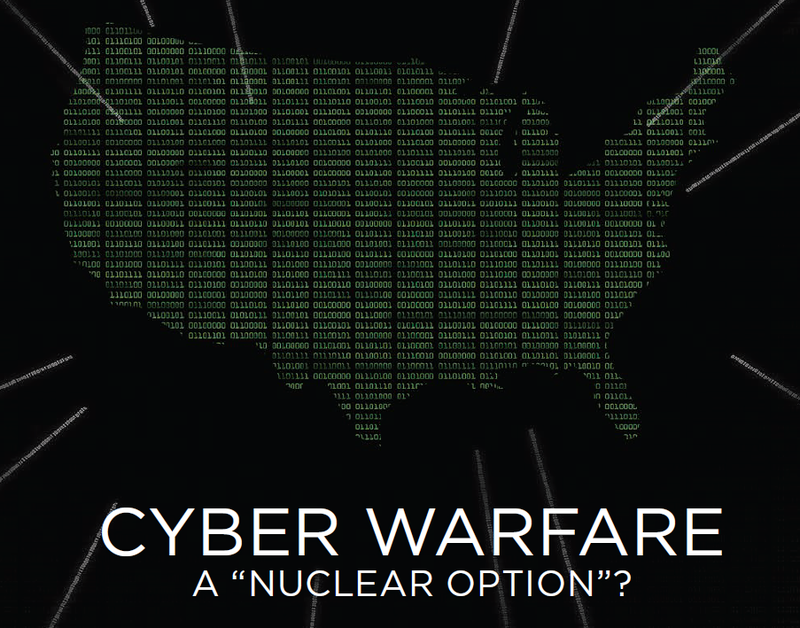 How do cyber attacks compare in devastation and likelihood with nuclear ones ? After that, check out Adam Elkus’ considered review of Krepinevich’s paper  over at CTOvision.com. The Commandant of Pakistan’s Command and Staff College, Major General Sohail Ahmad Khan, is delivering a seminar on ‘Humanitarian Assistance and Development Aspects in Conflict Zones ’. The event is hosted Kokoda Young Strategic Leaders’ Forum and the USI of the ACT at the Australian Defence College, Canberra, Wednesday 19 September at 6.00pm. Lastly, there’s a CNN live panel ‘China ♥ America ’ that looks at the ‘special bond’ between the United States and China. The panel, which includes James Fallows, Geoffrey Garrett, Jianying Zha and Eric Knight, will be at the Sydney Opera House, Saturday 29 September at 6.00pm. Image courtesy of Center for Strategic and Budgetary Assessments .